The epic of Athens dwells within. I'll admit that I had some preconceptions about Greece. It’s never portrayed brilliantly in Western media. There's the ferries that have sunk, economic disasters, and I suspect that media's portrayal of Greece is westernized paternal shame to shun the country into economic compliance. However, the Greece I visited was one of the loveliest countries that I had ever been to in my life (I honestly would consider living there if I could). The people were super friendly, tourism is managed excellently (take note Egypt), and the sights, sounds, and foods made me believe know that I've got a travel crush on this country. 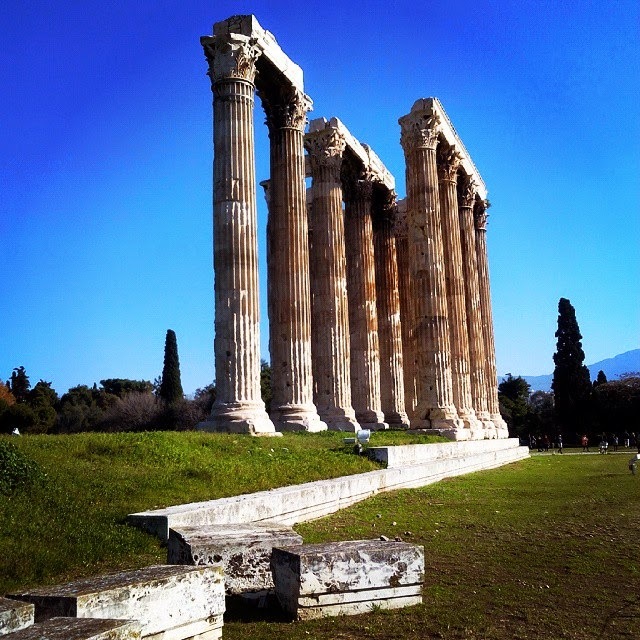 It started on my flight with Aegean Air, my code-share flight on United Airlines from the U.S. The meal which consisted of Greek cheeses, salads, and foods that were rich and soulful and a great introduction to what was come. A nice welcoming for a college student with no money (FYI, most all attractions are free with a E.U. Student ID [thank's Greece!]. Upon landing and without question I moved through Border Control and onto the brilliant Metro system where I made it to my hostel in under an hour (a word of caution the Metro is simply labeled Train at the airport). Backpacker’s Studio was where I ended up, and at $15 USD a night (off-season) it’s a steal (in my opinion you'd be stupid to stay anywhere else [Plaka])! 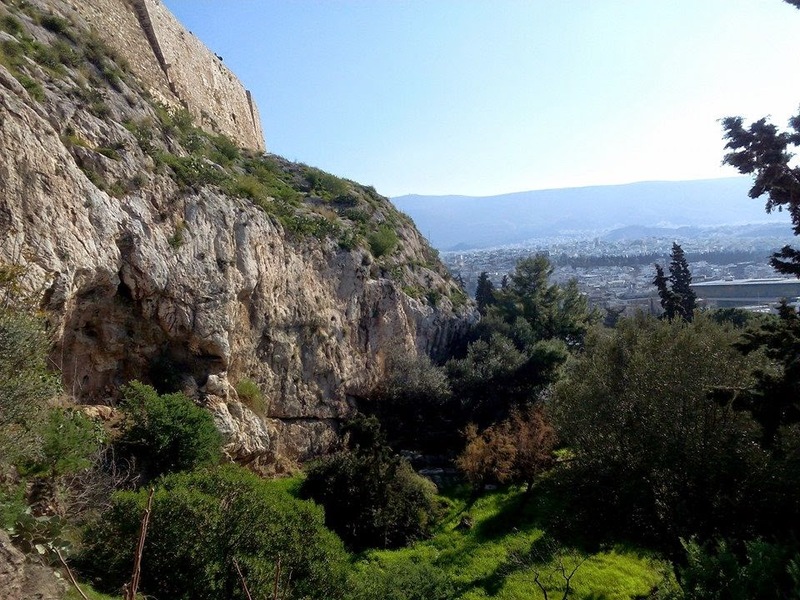 You could not ask for a better location as it's literally a couple blocks from the Akropoli Metro station and about a kilometer away from the Acropolis, Agora, and the museum. Right next door is a laundromat and a bar with lots of soul (can you say karaoke night?). Forget the cafes with their overpriced tourist menus at 20 Euro a pop and street goons scooping you off the pavement, in the alleyway of the Akrpoli Metro entrance sits the best darn Souvlaki Pita shop you've ever seen and they only cost 2-3 Euros (often there is a line it's so popular). There’s also a authentic Italian pizza shop and a coffee shop for mornings, all equally affordable. Almost all the attractions are within walking distance of the hostel, and a Coke kiosk sits on the corner (hydration is a good thing). I loved this place so much I really didn't want to leave. It was made even harder by the fact I made two new friends, both named Sam, and who made Happy Hour that much more happier. Our drink conversations and Souvlaki runs made each evening memorable, and it seemed like the moment we started to really get to know each other it was time to say goodbye (I was off to Patras for a three day ferry to Italy). 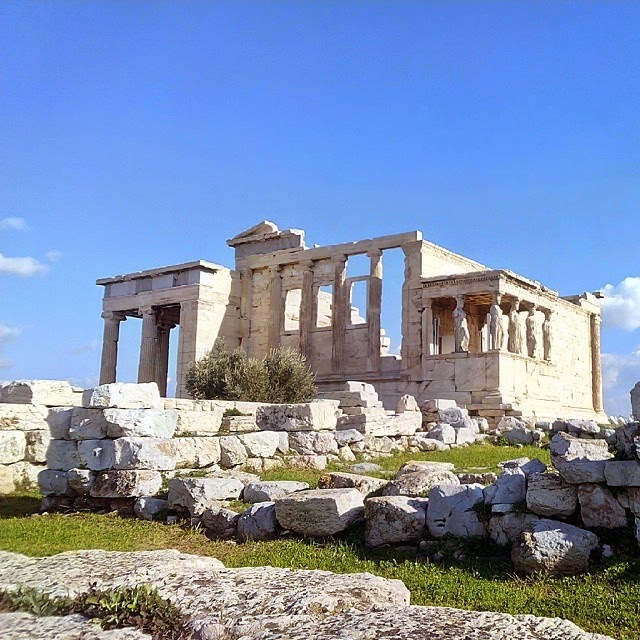 You can’t help but wondering how many stories have been written because of the city of Athens and its temples to the Gods. Geographically, the area is simply stunning with the mountains, the sky, and the beautiful city. It’s not every day you stand in the Temple of Zeus, but I feel compelled to say I secretly imagined myself immersed in this 3000 year old complex, standing upon the same marble stone as the ancient Greeks did. There's no doubt there's a hint of truth in mythology and this place is the foundations of modernity. 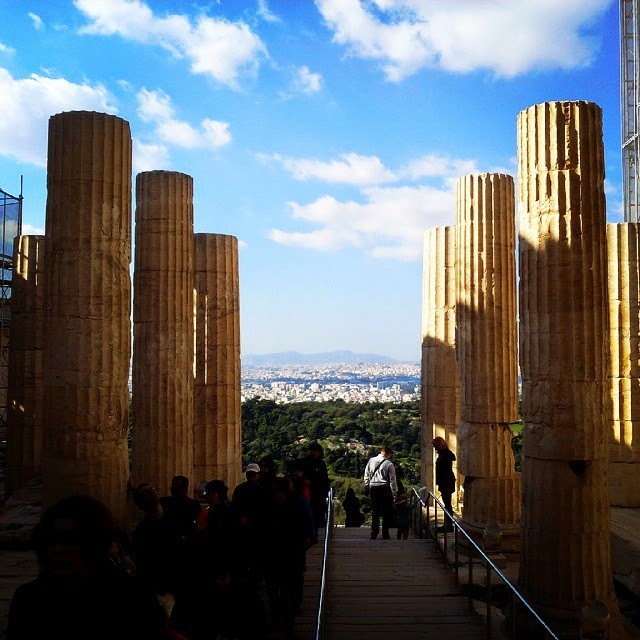 Undeniably, you’ll feel like you’re in your own Odyssey the moment you arrive in Athens. As I write this from a Greek ferry (Anek) somewhere in the Mediterranean Sea (I have a lot of downtime), I’m reminded that we’re all given our own myth to write. What serpents and demons do each of us battle? What quest have you taken up? Athens is beautiful, it’s amazing, and by going there, somehow Greece becomes a part of you, and by consequence, you become more, you become a part of the story of Greece. 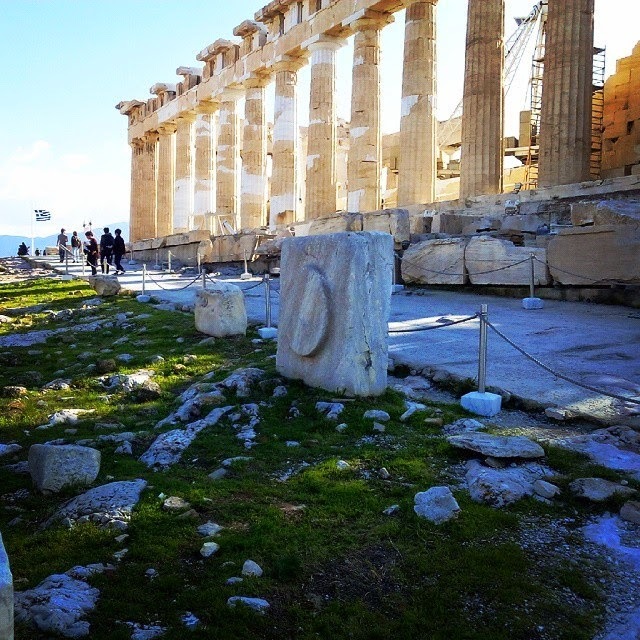 The story that we were all told was a myth, that it was fiction, but here in Athens it's proof that the stories told were once real, manifested into reality by man. By coming to Athens you become a part of that story. 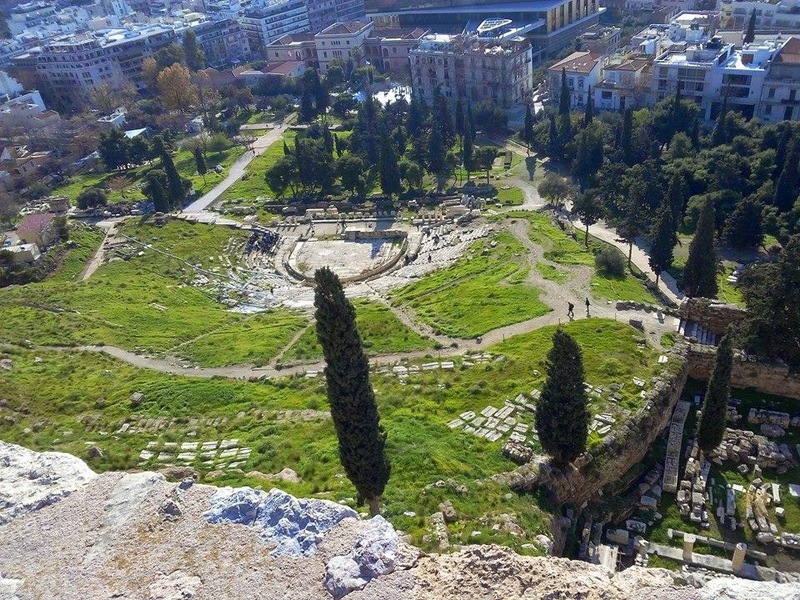 Standing on the Acropolis, looking out on to Agora, here, the history of mankind became my personal story. I'm not certain if the Gods of Olympus destined it but I'm obliged to say that I wish everyone could know and join this epic. Metaphor or not, Athen's story is one rooted in humanity's conflict between mortality and metaphysics. If we're too quick to overlook it as fiction, we may miss the message and forget what humans are capable of as individuals. We may have traded God's over the millennium but its never been clearer to me that what dwelt within the men and women who built Athens was driven by their belief to be more, ameliorate, and live incredible lives through the odyssey of their own imaginations. Today, we've forgotten why we believe in or create our Gods. We blame the world and others for our problems rather than tell stories of what we may become if we don't accept mortal limitations. I refuse to accept human apathy and the argument that our failures are not within our ability to change them. When we stop believing in ourselves, we lose a part of us that we will never get back. Going to Greece is a pilgrimage into the human soul, one in which we find exactly what we’re made of. It made me believe in myself again.